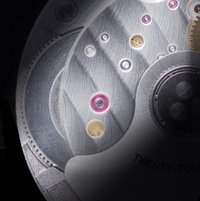 Reef Tiger R9015 movement is a modern new movement, that is completed on basis of Miyota 9015 and further gone through a series of modifications and adjustments by Reef Tiger professional watch team, R9015 is also the ultra-thin movement with functions of central 3 hands and date, is the movement on par with Swiss ETA 2824 in performance, and also is the movement having equivalent thickness as Swiss middle high class Swiss movement of ETA2892. 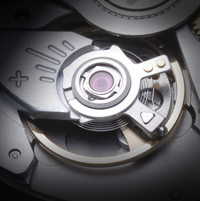 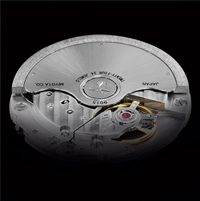 With a comparable performance and similar data as these Swiss movements, however, the price among them varies a lot. 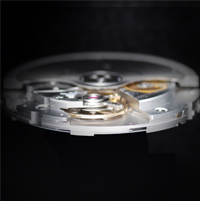 Adhering with the design philosophy of toughness and durability, on the other hand, keeping pursuit of simplicity and principles, 9015 is fitted with the most universal forthright power train, each component are characterized by the slim and delicate shape and feature, bonded with “intimate” and flawless cooperation, not just a simple central three hands date movement, but also a good source to develop multiple-hand/function movement. 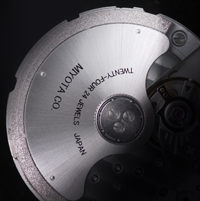 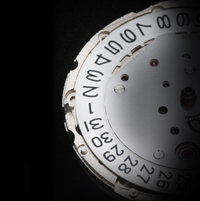 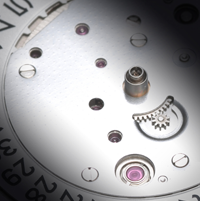 On the other hand, R9015 movement is equipped with hacking function by pulling out a click of the crown to achieve it, rotate the crown to wind the watch, about 15-20 rounds can be full winded, one more click pulling out of the crown can adjust the date, and one more further to set the time, but please be aware of that when setting time, be clear about it’s am or pm at the moment. 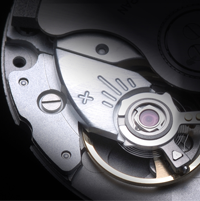 Blank Miyota 9015 stays accuracy of -10—30 seconds, yet after adjustment through Reef Tiger, R9015 movement can keep a good time with daily error around -4—4 seconds adjusted to 4 positions (four positions including: dial up, 6 o’clock up, 9 o’clock up, 3 o’clock up), moreover, quite stable, undeniably a real sense of a high performance and low cost movement.